On Martin Luther King Jr. Day, celebrated Jan. 15 this year, Philadelphia museums and attractions honor the activist by hosting events for the community. Below are five ways to participate in MLK Day 2018. Nine sculptures designed in honor of King will be on display in Philadelphia, through the end of Black History Month. 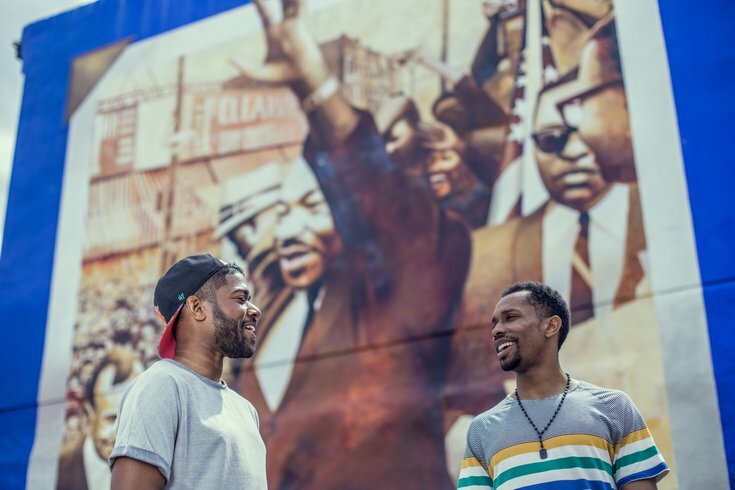 Find the artwork at the African American Museum in Philadelphia, Temple University, the Kimmel Center, City Hall, the Betsy Ross House, the Philadelphia School District headquarters building and Comcast headquarters. Two will be displayed at the Philadelphia Art Museum. More than 50 students were commissioned to create the works. Each statue is accompanied by a plaque with a quote from King. King's 1963 "Letter from Birmingham Jail" will be read at Eastern State Penitentiary three times (11 a.m., 1:30 p.m. and 3:30 p.m.) on Monday, Jan. 15. Children can create art based on themes in the letter or read stories on King's life. The National Constitution Center has joined with Global Citizen’s Greater Philadelphia Martin Luther King Jr. Day of Service again to provide events throughout the day that give back to the community. Admission to the museum will be $5 and includes access to all MLK Day activities. On Monday, Jan. 15, there will be a keynote address by Dr. Howard Stevenson, a University of Pennsylvania Professor of Africana Studies and Executive Director of the Racial Empowerment Collaborative. Admission to the African American Museum in Philadelphia will be $2. Guests can explore the core exhibition "Audacious Freedom: African Americans in Philadelphia, 1776-1876" and the temporary exhibition "Gardens of the Mind." Honor King's memory through community service at the Philadelphia Museum of Art. Attendees are asked to create art that will be distributed by MANNA when the organization delivers meals to those in need. There will also be a youth-focused conversation on how King's legacy can inspire today’s social movements.